Our Males – Rocky Top Rottweilers Inc.
Those Are Some Handsome Boys!!! 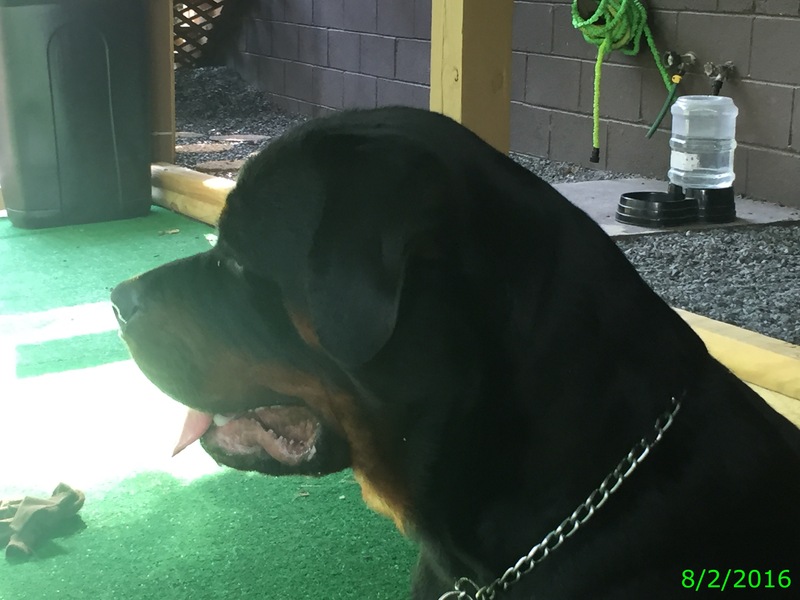 Jagger is our German male with superior championship bloodlines and pedigree and is AKC registered. Jagger is our family and business mascot. His big head and sweet eyes are our easiest advertisement. He is simply irrestible! Jagger has a mild temperament and loves to play fetch. In fact, his trusty ball is never far from his sight! Jagger thinks nap time is any time he decides and you can often find him sprawled out at your feet snoring away! 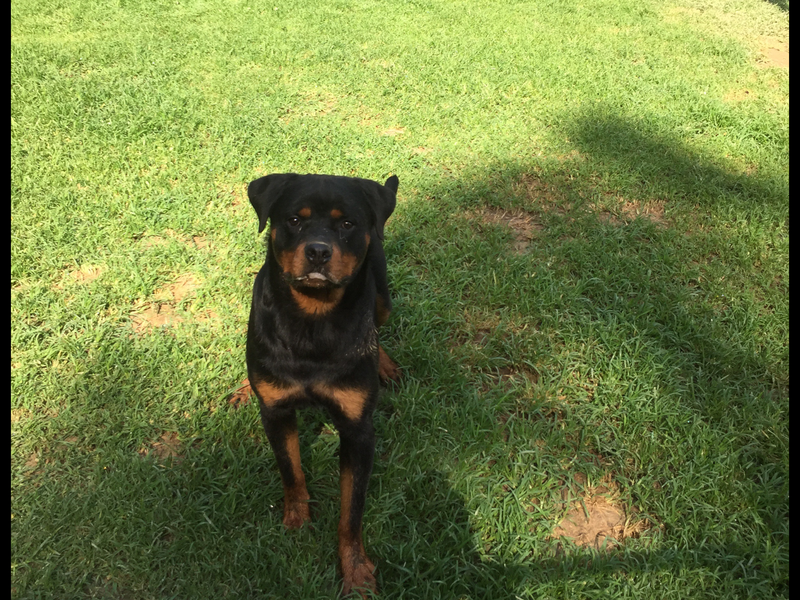 Jagger is one of those always happy dogs with a big old Rottweiler smile that you just love to have near you. One Jagger kiss can wash your whole face!! Kane is our newest male. He is a little over a year old and has outstanding championship bloodlines and pedigree. Kane is also AKC registered. Kane is a lively young male with a mild temperament. He loves to run and play with our females but especially loves to run and bark at Finn, our little Maltese male. Kane and Vita are best of friends and you can usually find the two of them in the middle of a good romp and play session! Kane is growing everyday and enjoying being a rambunctious puppy! Visit Jagger’s and Kane’s pages under Our Males to see more information and photos.